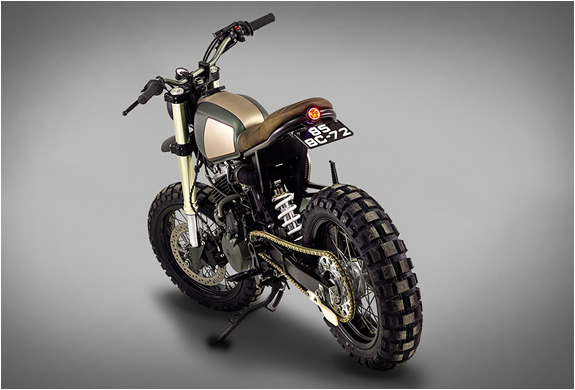 Our Friday custom motorbike crush comes from Portugal’s Ton-Up Garage. 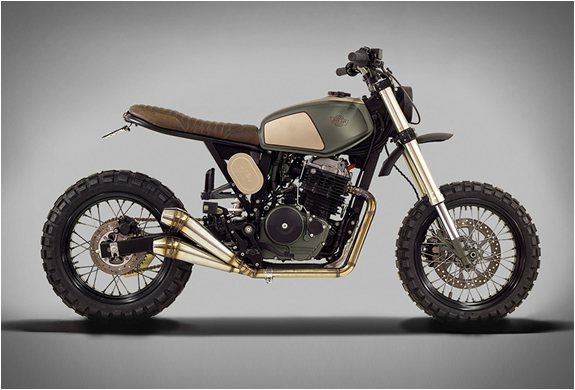 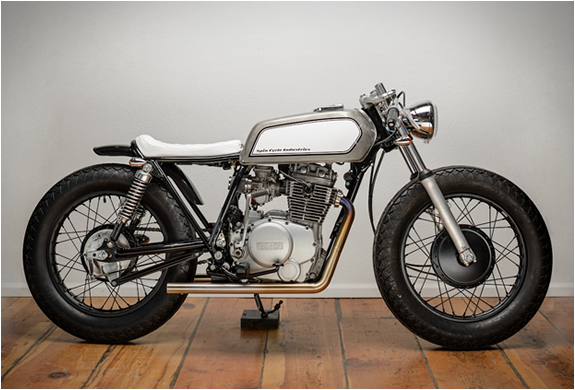 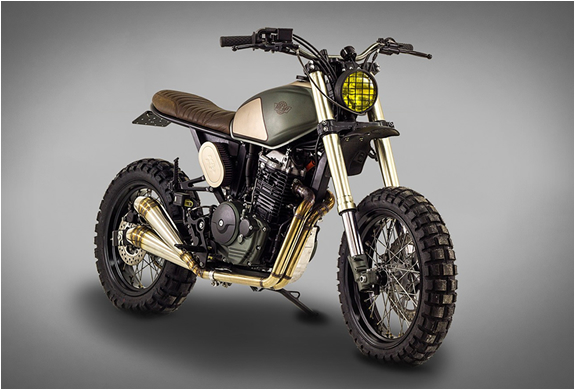 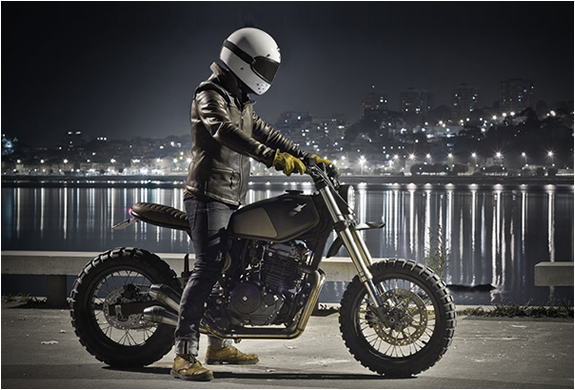 Commissioned by a client who needed a bike that could handle both city streets and backcountry dirt tracks, this awesome Honda 650 custom named "Muxima” was stripped to its essentials, giving the bike a minimal look and shedding a lot of visual weight, changing completely the original look and style of the bike. 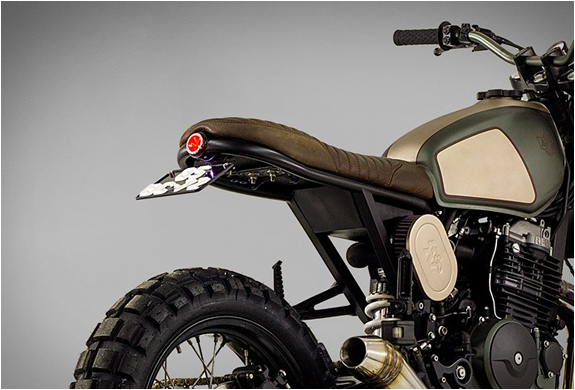 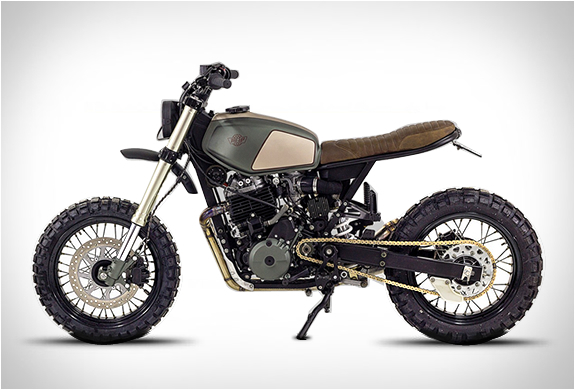 They finished it off beautifully with a custom-made leather seat, some knobby off-road tires, and an elegant earthy paint job. 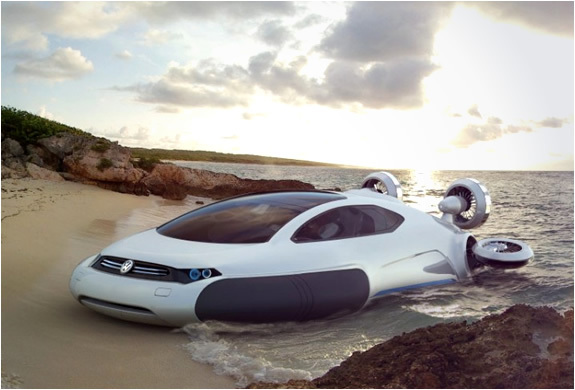 More photos of this masterpiece after the jump.